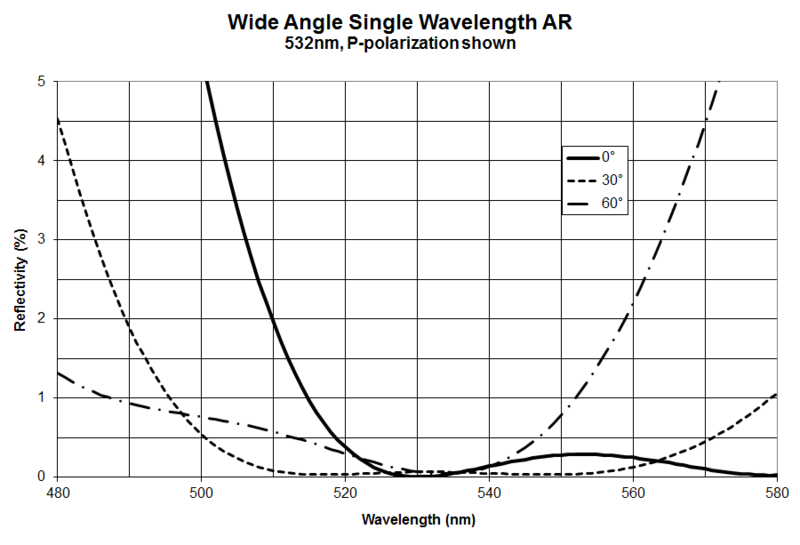 Abrisa Technologies provides very wide angle anti-reflection (AR) coatings for p-plane and s-plane polarization. These coatings support high throughput efficiency for broad angle polarization sensitive applications. Contact Abrisa Technologies, or download the datasheet for more information.